Welcome to our group of lovely Russians. This is our first group of teen students from Russia. They have come to BBELS to learn English and enjoy afternoon activities in Byron Bay: Aloyna, Anna (group leader), Sasha and Valero. We are sure they will have a lovely time at BBELS. We WISH he was a new staff member. 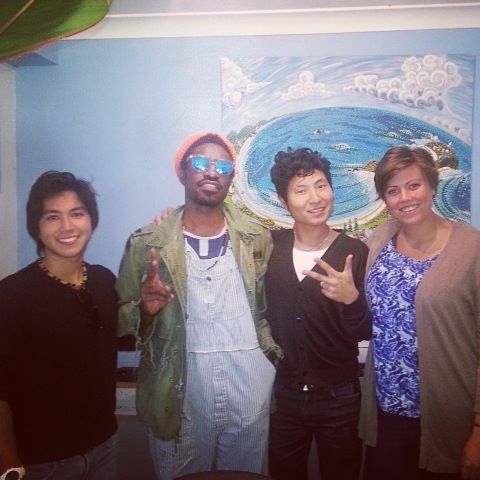 But Andre 3000 just came in to say hello to his old mate Manny at Cafe Oska!!! 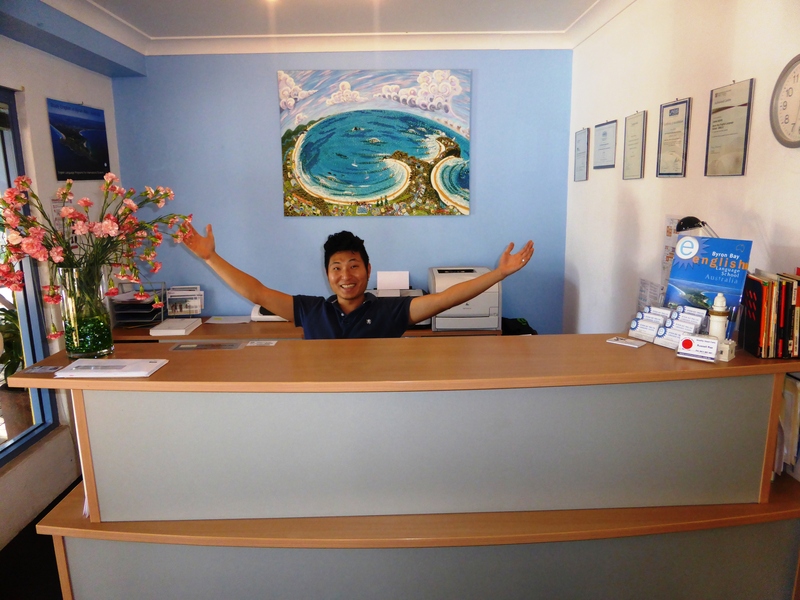 We would like to welcome Kansai International High School back to Byron Bay. 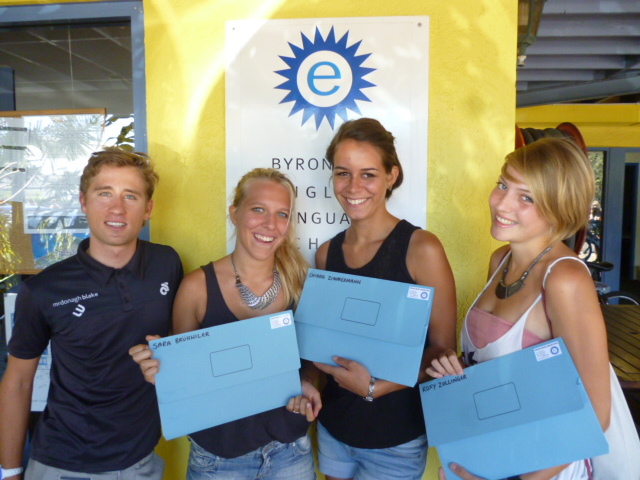 We would like to congratulate all our FCE (First Certificate in English) students for passing the exam!!! It is a fantastic result and all our students should be very proud. For the last two years we have been holding the Cambridge exams here at school. This last course we had a FCE class and a CAE class. 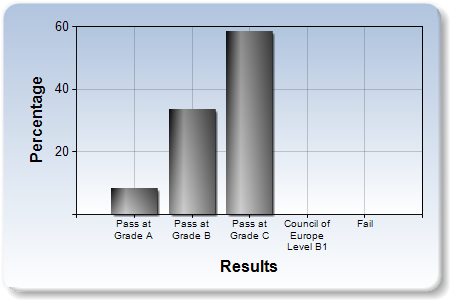 We would also like to say a special congratulations to Damien Fiorucci for getting an A. Of course we also need to thank their wonderful teacher, Jay-Dea, who encouraged, bribed, chastised them every day, and made sure they learnt the skills necessary for passing the reading, writing, listening and speaking tests. Our Job Club Manager Brian introduces Job Club and explains how he helps you to find a job. 1. How long have you been working at BBELS now? I have been working at BBELS for 1 year and 5 months. 2. What are your tasks? My major task is the Korean and Taiwanese market. Also I do customer service and reception tasks. That means I take care of our students. Furthermore I am looking after our beautiful campus and I am responsible for our BBELS Hostel. One of my main projects is the Job club, where I help our students to find a job here in Byron during their study at BBELS. 3. How can you help students find a job? I have been living in Australia for seven years now and I have seen a lot of places. The majority of my time I’ve spent in Byron Bay. I also studied at BBELS. While I was studying at BBELS I was looking for any kind of job, no matter if it was full-time or part-time. I always tried my best and I was successful. I gained a lot of knowledge, work and experience. At the same time I built a good network for our students because I always made sure I had a good relationship with the employers I worked for. Now our school has the Job Club which the students can join at any time. As soon as they join, I will check the vacant position from the employers or contact our partner businesses to ask if they need any workers. 4. Is there something like a job placement guarantee? There is no 100% guarantee that we are going to place the student in a job because of the variety of jobs and also the season. Saying that, ever since I’ve been working here I have placed all the students that are in our Job Club, for example in factories, farms including WWOOF, restaurants, housekeeping and much more. 5. Are there any visa restrictions regarding working in Australia? On a working-holiday visa you cannot work longer than 6 months for one employer. But we have various employers, like factories and farms, which will help them to get the second holiday visa. It is different for student-visas. Most student visa-holders are also interested in working in Australia. They are allowed to work 40 hours every fortnight. 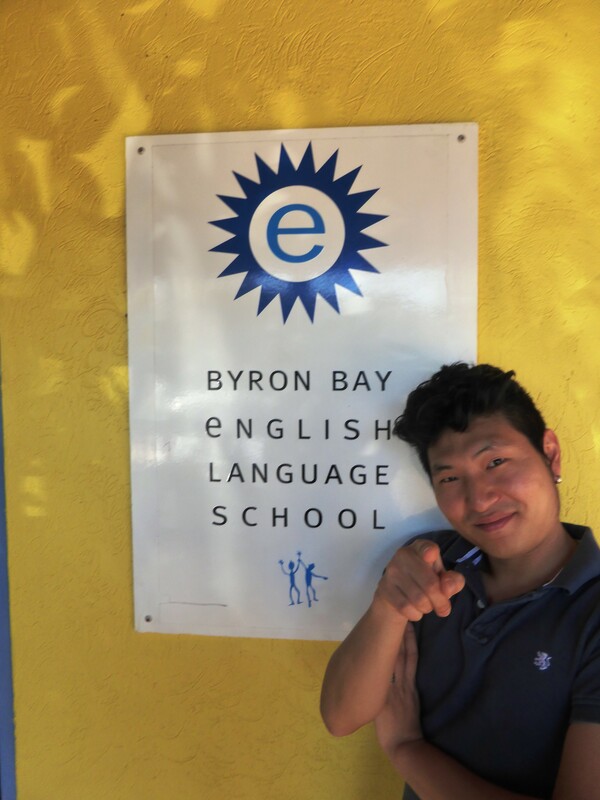 There are ideal jobs for student visa holders in Byron because there are a number of jobs available that offer less than 20 hours of work per week. 6. What do you recommend any student who wants to find a job in Byron Bay? 1. How long have you been working at BBELS? I’ve been working here for 9 months now. I started in October last year. 2. What are your tasks at BBELS? My main job here is to organise student travel. But I also help Max, our activity coordinator, with the activities and bikes. 3. What makes your job special? Why do you love it? Definitely the people! Meeting people from all over the world is really special for me. I see our students every day, so I get to know them really well. That’s why I always want to make sure that they are happy and I put together the right trip for them. 4. Which tours do the students like the most? Which ones are the most booked? 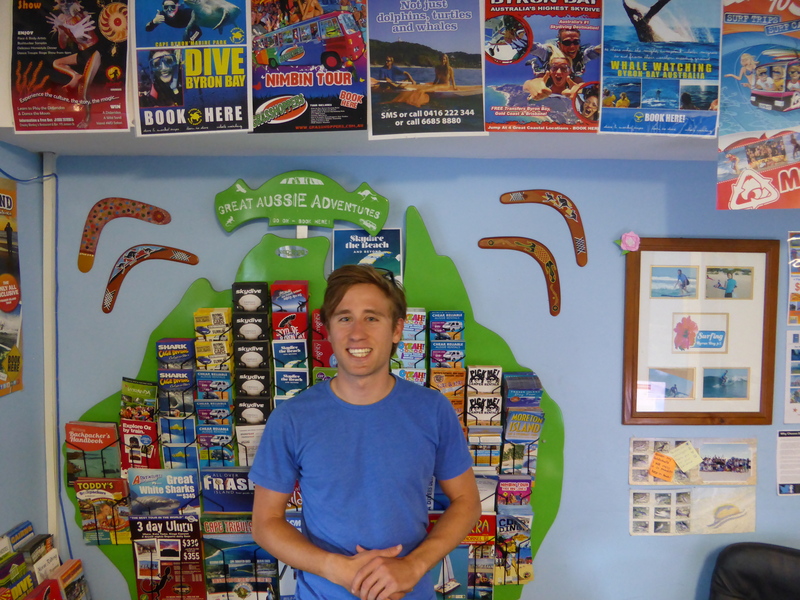 The East Coast tours are definitely the most popular tours with Fraser Island, the Whitsunday Islands, the Great Barrier Reef and the Daintree Rainforest. But also city trips to Sydney and Melbourne and trips to Uluru are very popular. 5. What advantages do students get if they book through you? We provide a total travel service. We are able to book every aspect of your trip: your flights, buses, transfer, and activities. I think many of our students are surprised how cheap we can offer these things. We are only here to help our students. That’s why we can offer everything at better prices. Furthermore, I am here every day, so I’m always available to answer questions, make changes etc. In general we have the principal that we never book anything that our students could book for themselves. Our students can be sure that they are not paying too much when they book with us! 6. Do you enjoy helping students to book their travel dreams, after their studies at BBELS? Do students thank you for your support (e.g. postcards)? I get lots of nice emails and postcards which is a lovely feeling. I also get to see many students when they return to Byron Bay after their travels. It is always great to hear that they had a fantastic time and everything worked perfectly. Being able to provide a quality service is very important to me. That’s why it is very special for me to know that they really enjoyed their time in Australia. 7. Is there something you would recommend to all BBELS students? There are really so many interesting places to see in Australia. My personal favourite is the East Coast, especially the Whitsunday Islands and the Great Barrier Reef. But everybody is different and that is what makes my job so much fun! DO YOU WANT TO PLAY A FOOTBALL SEASON @BBELS? 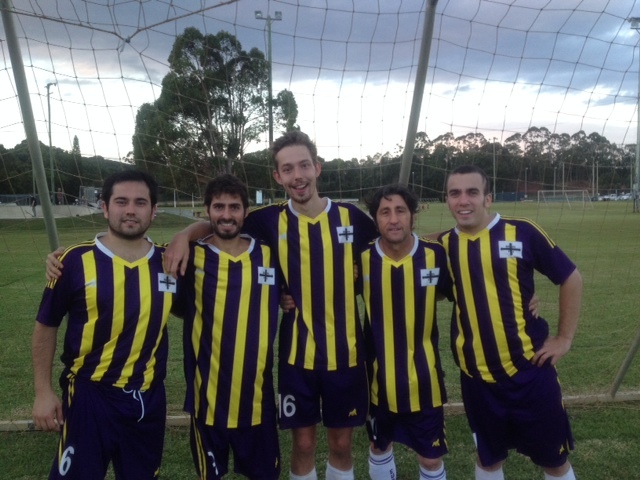 In April this year Max organised a group of long term students staying in Byron Bay (from April to September) to play a season of football (soccer) for a local team,”Eureka” a small village situated in the Byron Hinterland (20 mins from BB). Max spoke with Norm Black,Eureka FC Team Manager and local businessman, to see if he could get some sponsorship to help the students cover some their costs. Norm generously sponsored “Our Boys” through his business “Trip a Deal” and this looks becoming an ongoing relationship for all future BBELS students. So if your planning on coming to Australia (April-September) to study English and love playing football come to BBELS and we will get you on the field. ps. at the moment we are running 2nd. We average 5 goals a game and are a genuine contender for the title!!!! !